You are driving on Norwich Street in Brunswick headed to Southland Market when another driver t-bones you. Your vehicle is totaled and you suffer extensive physical injuries. You may spend a few weeks in the hospital as a result of your injuries. Once released, you may be overwhelmed by unpaid bills, trying to get caught up on work, and attending physical rehabilitation. Some people may not even contemplate, or consider, filing a personal injury claim against the other driver. It is important to realize that when you are involved in a serious accident, the proverbial clock starts ticking on the statute of limitations. 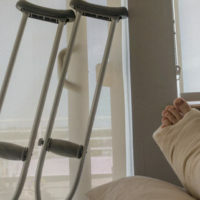 Under Georgia Code § 9-3-33, the statute of limitations is the time limit to file a personal injury claim and it is limited to two years after the “right of action” begins. The right of action is when your injury occurred. This means that if the statute of limitations for a car accident injury that took place on February 1, 2017, the statute of limitations would expire on February 1, 2019. In addition to car accident injury claims, if you or a loved one is harmed by a defective consumer product or a manufacturer’s negligence, you have two years after the right of action to file a product liability claim. Keep in mind, product liability claims often involve multiple parties (e.g., retailer, manufacturer, distributor, etc.) so it is important to speak to a Georgia personal injury lawyer to initiate a timely product liability lawsuit. Two years is also the statute of limitations period of a medical malpractice claim, according to GA Code § 9-3-71. As mentioned, the statute of limitations generally begins when an injury occurs. However, it is not always possible to immediately discover the cause of an injury. For example, in the medical malpractice context, if a doctor or other medical professional left a surgical device in your body during a procedure but it did not affect you until four years after the procedure, the statute of limitations would “toll” (i.e. stop) until the date you discovered the harm (e.g., a doctor discovered the device through an MRI). In this context, the discovery rule would come into play. Under Georgia’s discovery rule, you would have one year from the date of discovery to file a medical malpractice claim. As you can see, the statute of limitations is not as straightforward as it may appear. Many people mistakenly just think, “well I have two years to take legal action” but there are exceptions and loopholes that can shorten, or even extend, the statute of limitations in your case. This is why it makes sense to speak to a Brunswick personal injury attorney. An experienced lawyer can investigate the facts of your case to determine which statute of limitations applies. Once you hire an attorney to represent your claim, they will keep you on track to file before the tolling of the statute of limitations. Contact Gillette Law, P.A. today to schedule a free consultation.